In an interview with the Wall Street Journal last month, US President Donald Trump called into question Washington’s continue support of the landmark 2015 nuclear deal with Iran. Last year on the campaign trail Trump made his dislike of the deal very clear but, for the last seven months, his administration has continued to implement it, albeit reluctantly. But after Trump’s latest statements, the fate of the nuclear deal is unclear. The President’s escalatory rhetoric risks unnecessarily exacerbating tensions with Iran, an outcome that could see either side ultimately breach its obligations under the deal and to their allies. By the agreed date of January 2016 – Implementation Day – the International Atomic Energy Agency certified that Iran had completed its nuclear drawdown. Actions taken included the decommissioning a number of centrifuges and ceasing enrichment above 3.5%. In return, Tehran expected sanctions relief. According to the terms of the deal - formally known as the Joint Comprehensive Plan of Action - on Implementation Day, Iran would receive comprehensive nuclear UN and EU sanctions relief, and would see a suspension of US nuclear sanctions. On paper, this is what occurred. 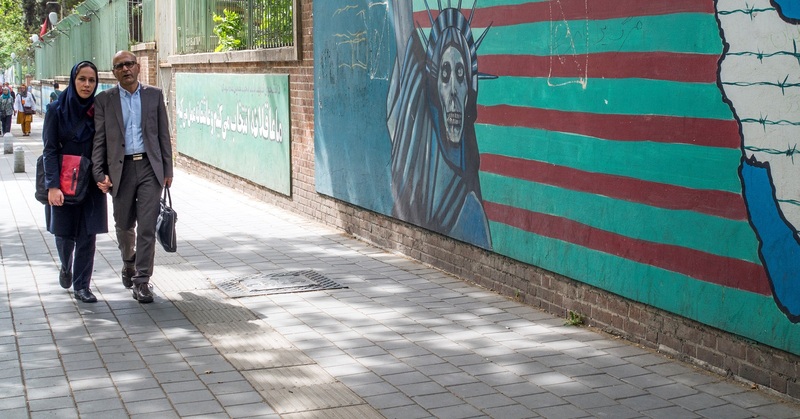 In effect, however, the continued suspension rather than termination of nuclear sanctions by the US – which also has a variety of other sanctions on Iran - means Tehran has not become the business ‘El Dorado’ it expected. If Iran doesn’t receive the promised sanctions relief, then it has no incentive to continue implementing the deal. Sanctions relief and the economic recovery this would bring were among the main reasons Iran engaged with the P5+1 group of world powers in the first place. President Trump’s election hasn’t helped. On the campaign trail he threatened to dismantle the agreement on numerous occasions. In office he did so again. In April, his administration ordered a review to determine if the lifting of the nuclear sanctions was in the United States’ national security interests, even while acknowledging Tehran was compliant. That review is ongoing. In the meantime, even as it half-heartedly continues to observe the deal, the US continues to sanction Iran for what the Department of State recently described as ‘malign activities across the middle East’. Trump has upped his anti-Iran rhetoric; from putting Iran ‘on notice’, to suggesting the nation bore some responsibility for the ISIS terror attacks on its soil in June 2017 because it was a state sponsor of terror. Last month, Trump also installed real doubt over whether his government would certify the nuclear deal at the next certification deadline in October, sparking outrage from Tehran. By law, the US administration must certify Iranian compliance to the deal every 90 days. If Trump doesn’t do this, then he’s effectively binning the deal. Even if Trump does certify Iran’s compliance, the damage will have been done: the injection of uncertainty over the durability of the deal will further slow the flow of economic benefits to Iran. No major Western financial institution will even consider Iran as a market while the US continues to see-saw on what it plans to do. What’s more, should the US jeopardise the implementation of the nuclear deal, then any cooperation between the US and Iran on regional stability and in the fight against ISIS will be highly unlikely. Rather, such an action by the US would feed into the Iranian conservative view that the United States is not to be trusted. So, even as the US continues to implement the deal, Trump’s words and actions have had a significant impact. Other than further scaring Western businesses already wary of doing business with Iran, Trump has added fuel to the growing fire between the US and its European allies. The EU has reiterated time and again that this nuclear deal with Iran doesn’t belong to any single country but to the international community as a whole. It continues to encourage the private sector to do business with Iran. But Iranians don’t feel the EU is doing enough. During a European tour in June 2017, Foreign Minister Zarif urged the Europeans to step up and fill in the void left by the US, including in helping reduce regional tensions. Iran has clearly turned its attention to Europe. It’s imperative that Iran reaps the benefits of the 2015 deal. This is what will ensure the agreement holds. With his rhetoric and actions, President Trump is jeopardising this. And he’s doing so with no back up plan. While this hurts Iran, ultimately, it will also harm the US, its credibility and its foreign relations more. Reactions provoked by the mooted deal provide analysts with rich insight into some of the forces now at play in Europe.